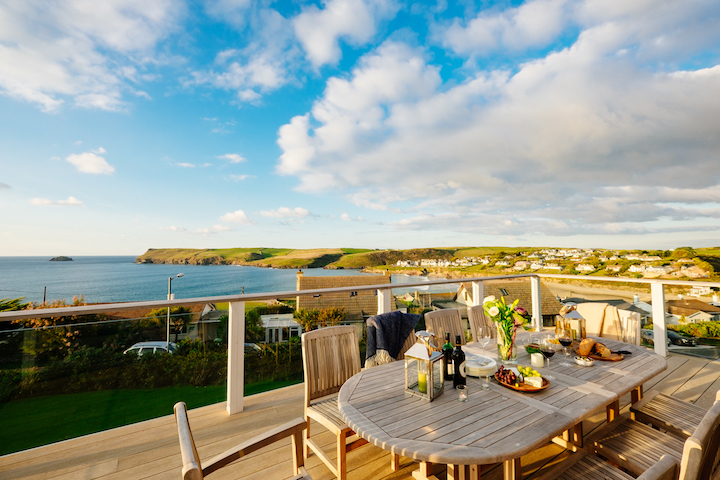 Ready to book your escape to the coast? 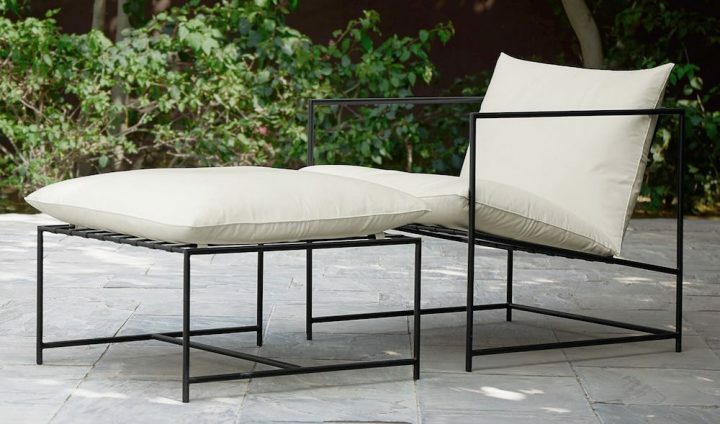 Dreary, freezing January evenings are made for summer holiday planning – I can’t be the only one already dreaming of cocktails al fresco, snoozing on sun-loungers and those days when the sun soars up beyond eye level, can I? 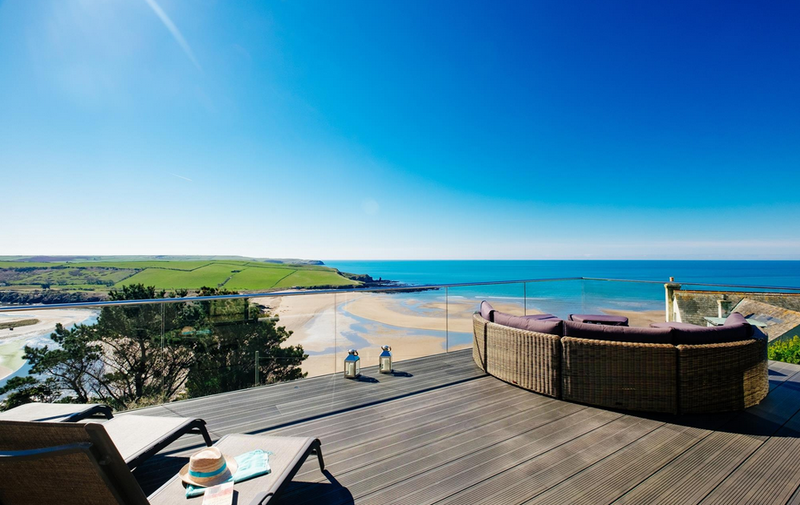 This year I’m planning to take the Muddy tribe to Devon or Cornwall (to avoid airport-based faffing) so have been browsing luxury self-catering letting agency Perfect Stay‘s gorgeous website, perving over their super-stylish collection of properties. I discovered them last year but what with too much work, too many children (who said three was a good idea?) and my usual lack of organisation, I didn’t make it. They give loads of detail on each house, including stacks of photos and floor-plans, so you can ensure you bagsy the bedroom with the en-suite and sea-view – that’s ‘holiday-booker’s rights’! 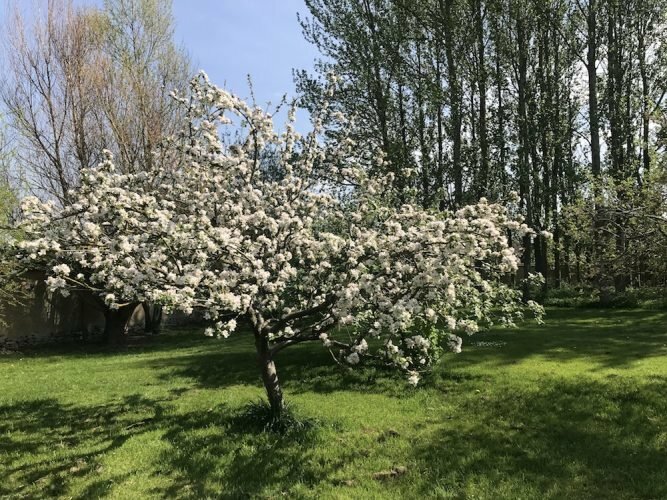 They also have concierges with excellent local knowledge (but then you’ll already be up to speed as you’ll have checked out Muddy Cornwall and, as of next week, Muddy Devon, before you go, right?). More good news – they’re not terrifyingly expensive, despite the interiors magazine-worthy decors on display. 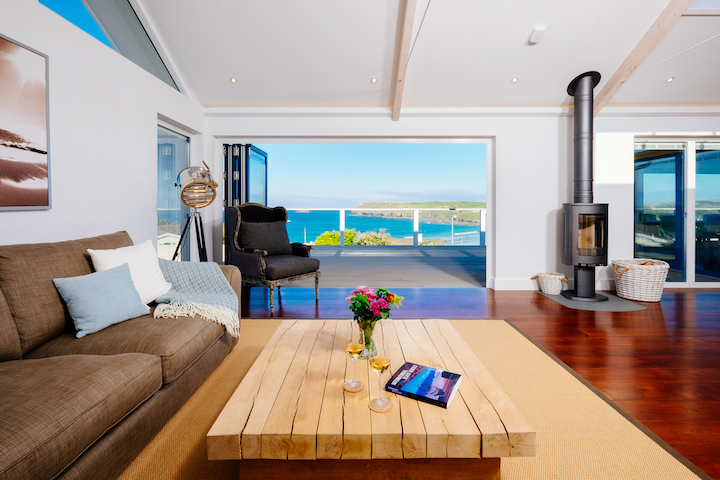 Seriously, check out Waders in Polzeath, Cornwall, below, with its awesome views over the water and sleek teak-floored open-plan living space with a vaulted ceiling and acres of glass to let the sunlight in. It has 5 bedrooms and sleeps 9-12, so with prices from £2450 per week could work out at as little as £200 per person. I reckon it would work brilliantly for two or three families holidaying together, or you could ditch the lot of them and have a catch-up weekend away with your oldest girlfriends (Perfect Stays offer short breaks too). 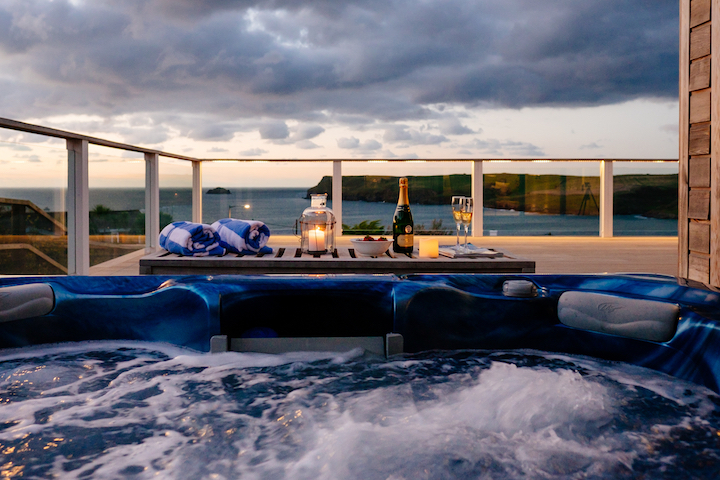 Glass of chilled champagne in the hot tub at sunset? Do you even need to ask? 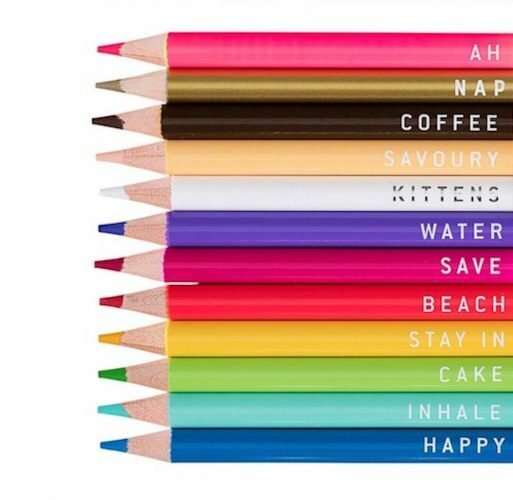 Or if you get bored of that (never!) you can head down to the sands to go surfing or eat the catch of the day at one of the nearby beachside restaurants. I’ve also got my eye on this one, below, brand spinkyspanky new for 2017, with building due to be completed in August. 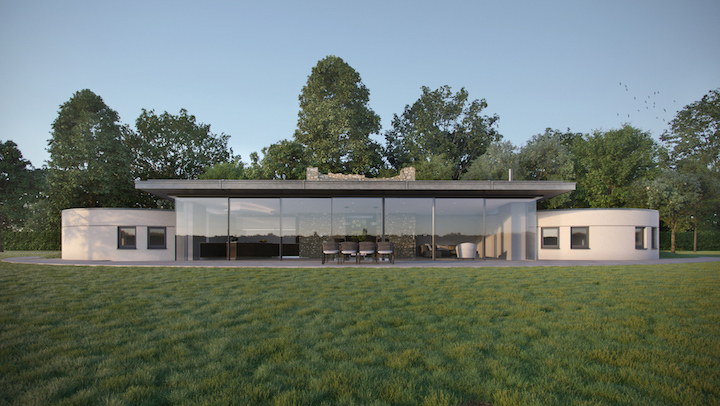 It’s more expensive – from £4630 per week it’s the most expensive property on the site, but can sleep up to 10 in five bedrooms – and it’s easy to justify the price with all the glass and interiors gorgeousness. In a quiet corner of the 350 acre Rousdon Estate near Lyme Regis, on the Devon/Dorset border, it’s a former 19th century water tower that’s been converted into a one-of-a-kind holiday home. Even Grand Designs’ grumpy old Kevin McCloud would be wowed by this, don’t you think? 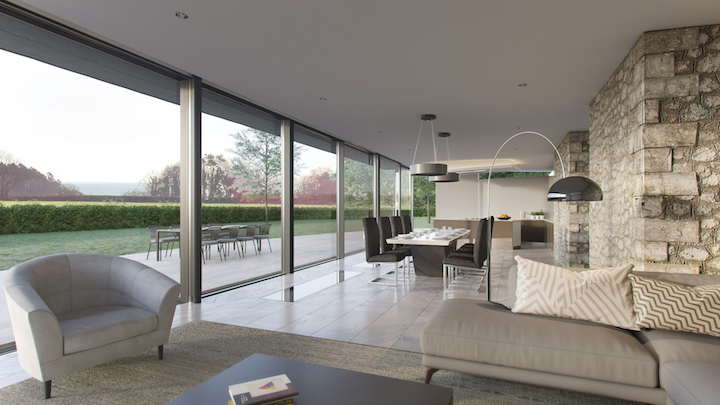 Check out the airy living space with its floor-to-ceiling windows that opens onto the terrace. The peaceful farmland vistas eventually give way to the sea. 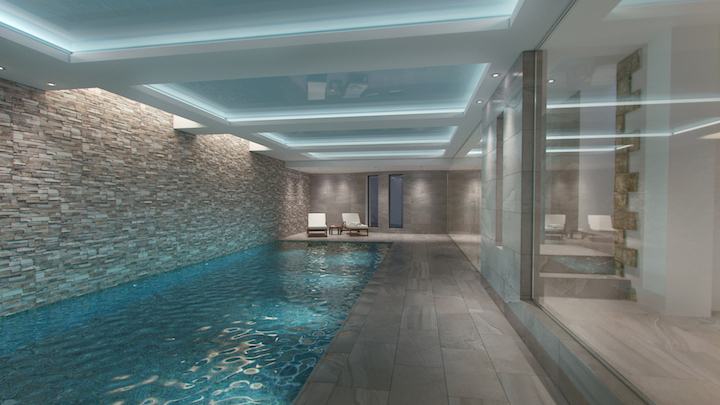 And here’s the indoor pool – heated, naturellement. The other thing worth mentioning about Perfect Stays is the private dining – ideal if the ‘self’ bit of self-catering starts gets a bit wearing over the course of the week. They have various different options depending on your budget and tastebuds. They can send in a private chef to make you dinner – it compares very favourably with a restaurant meal, with a meal for 10 coming in at £180 plus ingredients. Or how about some ultra-posh gourmet ready meals that you can bung in the oven with minimum fuss after a long day out exploring? Celebrity chef James Martin’s company Life, Fork & Spoon provides restaurant quality deliveries to the properties. 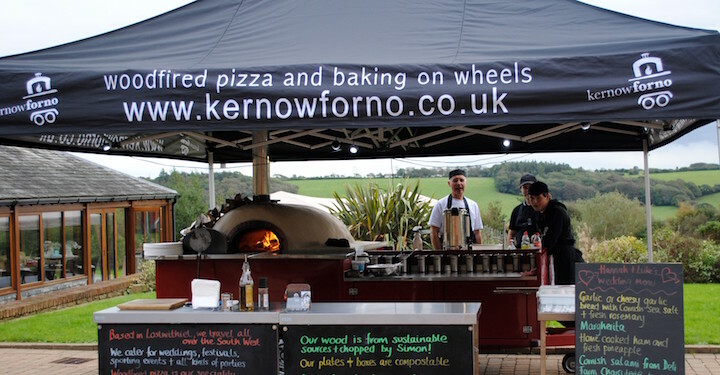 And – this is my favourite and a great one for kids – the wood-fired pizza experience. A chef rocks up at your house with a mobile wood-fired oven (and gazebo in case it’s raining), you choose your toppings and (s)he crisps it to perfection for you. Let me know if you decide to book one – happy holidays!